Sometimes too much milk based drinks like cappuccino and caffe latte can put worrying stress in one’s middle-kingdom. And sometimes we just wanna enjoy a full cup of hot coffee while catching up on newspaper or magazines. On days like these, the craving for a cup of SYPHON-BREWED Single origin of Ethiopian Djimma or Costa Rica will bring much comfort. 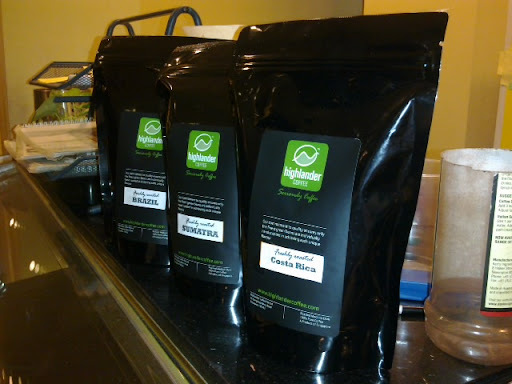 I particularly like myself a bright and refreshing cup of Ethiopian at Coffee Ritual. When you got chance to go with a few friends, order 1 cup each so that you get to taste the obvious differences of the aroma and taste of coffee from different regions in the world. Asked for Fresh Roasted Highlander Single Origin Coffee. This entry was posted in Coffee, Coffee Ritual, Highlander, Kuala Lumpur, Malaysia, Petaling Jaya, Syphon on November 11, 2010 by KF Chan.